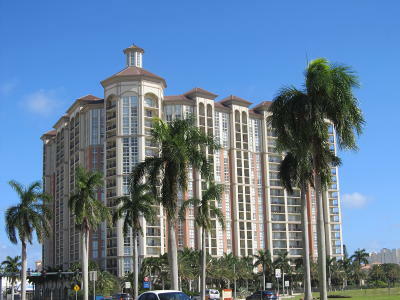 Gorgeous renovated 2/2 in pet-friendly desirable West Palm Beach building. Light and bright unit with renovated kitchen, impact windows, crown molding, UV shades, valet parking, awesome pool, gym, full-service building. Watch beautiful sunsets from huge patio, walk to Cityplace, Kravis, Clematis Street, close to Palm Beach shopping, easy ride/walk to beach. Perfect for homeowners, 2nd-home buyers, investors, corporate accounts for executive unit. Start living in the luxury you deserve!